A school is an establishment, intended to offer learning settings and spaces for educating the students under the guidance of teachers. Nearly all countries feature systems of prescribed education, which is usually obligatory. In these organizations, students step forward through a succession of schools. 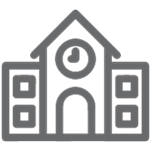 However, different countries have different school names, but primary schools are usually intended for young kids, whereas secondary schools are intended for adolescents who have completed their primary education.